Home » Technical notes » Fertilisers and Hypomagnesaemia: An Historic Exaggeration? Fertilisers and Hypomagnesaemia: An Historic Exaggeration? It is widely held that clinical hypomagnesaemia in dairy cows when transferred to unsupplemented spring grazing is associated with high levels of fertiliser nitrogen (N) and especially with large combined amounts of fertiliser nitrogen and potassium (K). This is mainly based on reports such as t’Hart and Kemp (1956) who found in a survey of clinical tetany on almost 4000 farms in the Netherlands that the incidence was only 0.5% on low potassium farms, but 5.2% with excess K, 4.3% where under 50 kg N /ha was used but 6.5% with both excessive N and K fertiliser. It is now about 50 years since many of the original fertiliser investigations were undertaken and most of the publications are not available on computer-based literature searches. They are unlikely to be repeated. Many subsequent summaries omit some critical essential features. A main purpose of this paper is to describe the experimental details and their interpretation at the time in the light of present considerations. Most of the early studies were deliberately undertaken with extraordinarily high applications of fertiliser N and K to induce clinical tetany so that various methods of magnesium (Mg) supplementation could be devised to prevent the clinical condition. The present impression that the incidence of clinical tetany in dairy cows on transference to spring grazing is perhaps reducing is now more realistically associated with the regular use of a variety of methods of dietary magnesium supplementation which have been developed. Sudden clinical tetany in cows at late autumn grazing is discussed later and is perhaps unlikely to be associated with earlier fertiliser applications. Table 1. Percentage of cows (n=126) experiencing clinical tetany. Plasma Mg and Ca concentrations (mg/100 ml). (Hemingway and Ritchie (1964). In the 1950s it was assumed that the normal magnesium concentration in blood serum (or plasma) was about 2.0-2.8 (or more) mg Mg/100 ml. This was presumably established from the convenient sampling of stall-fed cows given mixed diets including concentrates. For lactating cows given all-grass diets, mean values are lower and all would be expected to fall further on transfer to grazing. Any value below about 2.0 mg/100 ml was then described as ‘hypomagnesaemic’ and, with some exaggeration, constituted a ‘tetany risk’. But that may be far from clinical tetany. Hemingway and Ritchie (1964) assembled data for 126 cows where blood samples had been obtained at the time of (or very close to) clinical tetany occurrence (Table 1). Almost 75% of clinical cases had both low Mg and low calcium (Ca) values and not (as usually stated at the time) low Mg values and ‘sometimes’ low Ca values. Usually the plasma calcium falls quite markedly at the time of tetany after some period with only low plasma Mg. Similar findings have been described by others; e.g. Netherlands MAFF (1973) found plasma Mg values above 2.0 mg Mg/100 ml to be ‘safe’, values between 1.0 and 2.0 mg/100 ml to be ‘marginal’ with values below 1.0 mg/100 ml and especially below 0.5 mg/100 ml to be ‘dangerous’. Netherlands MAFF (1973) further considered that herbage Mg concentrations above 0.20% dry matter and especially above 0.25% DM were safe even when herbage crude protein (CP) and potassium contents were high (say, 25% CP with 4% K). Researchers in the 1950s perhaps naturally tended to over-emphasise the clinical tetany risks associated with rather mild hypomagnesaemia. But the condition was, and continues to be, very alarming. 2. Early publications reporting high applications of nitrogen and potash fertiliser. Table 2 (below) summarises the major investigations from the 1950s and 1960s. All involved only three or four cows in mid-to-late lactation with milk yields generally below 25 and even below 15 litres of milk per day when transferred suddenly to graze in small separately fertilised plots with no supplementary feed. The plots were not replicated. There were additional plots which were similarly treated with N and/or K but with various additional amounts of magnesium-containing materials. All those were effective in preventing hypomagnesaemia and are not further discussed here. Bartlett et al. (1954, 1957) used ammonium and potassium sulphates but all the other Table 2 references used calcium ammonium nitrate and muriate of potash. Importantly, Bartlett et al. (1954, 1957) and Kemp (1960) additionally used a selective weedkiller to reduce the profusion of clover which appeared on plots given large amounts of potassium fertiliser. As clover generally contains appreciably more Mg than grass, those particular results should be considered with that severe qualification. All the Table 2 publications commented on the considerable individuality of the cows used in relation to changes in serum magnesium. The numbers of animals used does not allow any proper statistical evaluation. Magnesium intake per cow per day (g) is the product of dry matter (DM) intake times herbage Mg content. In the absence of DM intake data any varying effects of fertiliser application on herbage palatability are unknown. But some of the Table 2 references indicated that DM intakes increased with time. The impression cannot be avoided that these early experiments were necessarily conducted under less than fully defined circumstances. Their relevance to present day dairy cow breeds, milk yields and fertiliser practice must be questionable. Table 2. Fertiliser N, K and sodium (Na) applications (kg/ha), mean herbage Mg, K and Na concentration (% dry matter), lowest mean plasma Mg concentrations (mg/100 ml) a few days after transfer to grazing, number of cows and cases of tetany. Year 1, Year 2, Year 3. Substantially the same fertiliser treatments given to the same plots in successive years. nd. Herbage K not determined. Frequently, in the Table 2 studies, when a degree of hypomagnesaemia developed, cows were moved to adjacent plots which had been given various magnesium fertiliser treatments, or the cows were dosed daily with 50-60 g magnesium oxide. In all cases serum magnesium concentrations increased quite rapidly. It does not necessarily follow that whilst this procedure was adopted ‘for safety’ there would have been further cases of clinical tetany without that change of grazing or direct magnesium supplementation..
A larger-scale long-term study (5 years) conducted at ICI Jealott’s Hill, (Coombe and Hood, 1980) had separate areas where the contrasting fertiliser rates were as described in Table 3. Both the annual 250 kg N/ha and 750 kg N/ha areas were grazed by groups of 21 Friesian cows. Blood samples were taken every three weeks and frequent herbage samples were obtained for a wide range of analyses. The overall mean plasma Mg concentrations were 2.42 mg /100 ml for both the 250 and 750 kg N regimes. On 5 of 81 sampling occasions mean plasma Mg for 250 kg N was higher (P < 0.05), and on 15 of 81 sampling occasions plasma for 250 kg N was lower than for 750 kg N cows. There was only one case of clinical tetany for a cow grazing the 750 kg N/ha/yr area. Table 3. Annual fertiliser applications (kg/ha) and mean herbage composition (% dry matter). (Coombe and Hood, 1980). Crichton (1968) has described the high incidence of 2212 cases of clinical tetany over a 13-year period in 35 dairy herds totalling over 3000 milking cows operated by the late Rex Paterson mainly in Hampshire. When no further potassium applications were given in the spring of each year and N fertiliser applications were increased, herbage Mg contents increased from 0.11 to 0.14% DM. Herbage Na increased from 0.10 to 0.32% DM as herbage K fell from 2.8 to 1.8% DM. Earlier, in the same circumstances, Paterson and Crichton (1960) found a marked reduction in the incidence of clinical tetany when sodium chloride was fed. Butler et al. (1963) established a significant negative relationship between the incidence of clinical tetany on 23 dairy farms in the South of Scotland and the sodium content of pastures. This was reduced from about 6.0% with herbage containing under 0.1% Na to about 1.0% with contents over about 0.20% Na. Kemp and t’Hart (1957) have reported similarly for pastures in the Netherlands; the mean Na content for clinical tetany-inducing pastures was 0.16% Na (with 3.7% K) compared with 0.25% Na (with 3.0% K) for those pastures with no tetany. Potassium fertiliser applications generally depress herbage Na contents (Table 2; Kemp, (1960) and especially Storry (1961)). Dry matter intake of herbage containing 0.2-0.5% Na was increased by 12-18% when sodium-containing fertiliser was applied, perhaps due to longer times of grazing shorter length material (Chiy and Phillips, 1993). Older ewes with twin lambs at peak lactation at about 2 weeks old are the most susceptible at fresh grass when supplementary concentrate feeding is withdrawn. Their dietary magnesium requirement (Mg g/kg LW) is similar to that for a cow giving about 30 kg milk/day. Such ewes can be used in adequate numbers for statistical examination of plasma Mg concentrations when grazing differently fertiliser herbage. This is particularly helpful when realistically modest potassium applications are given to well-replicated grazing plots. Hemingway and Ritchie (1963) found the mean plasma Mg concentration for about 400 ewes at grass on several sites was 1.70 mg/100 ml, but the standard deviation was as high as ± 0.4 and about 12% of healthy ewes had values below 1.0 mg/100 ml and with no developing clinical tetany. The clinical condition is found at a mean value of about 0.42 mg/100 ml and is associated with a low mean plasma Ca value of 4.8 mg/100 ml. Plasma Ca falls rapidly in the last 24 hours before onset following several days with low plasma Mg only. Hemingway and Ritchie (1963) recorded the effects on grass composition and plasma Mg concentration of recently lambed ewes with twins on cessation of concentrate feeding and transfer to separately fertilised plots receiving the same spring fertiliser applications over three successive years. There were three rates of muriate of potash application (0, 79 and 158 kg K2O/ha) with a uniform application of 79 kg N/ha as calcium ammonium nitrate (Table 4). In year 1 there were 6 replications with 4 ewes per plot (24 ewes per K treatment); in year 2 there were four plot replications (16 ewes per treatment; in year 3 there were two plot replicates (8 ewes per treatment). Herbage re-growths were mown for silage each year. Table 4. Annual K fertiliser applications (kg/ha), mean herbage K and Mg concentrations (% dry matter), mean plasma Mg concentrations a few days after transfer to grazed plots (Hemingway and Ritchie 1963). Throughout there were significant progressive increases in herbage K contents and corresponding reductions in herbage Mg contents, There was only one case of clinical tetany and that was in a plot given no fertiliser potassium. Black and Richards (1965) grazed ewes in sequence in a 4 x 4 design of 16 plots (totalling 64 ewes per treatment) given four contrasting fertiliser applications in each of two years. The annual amounts (Table 5) were nil, 79 kg N, 271 kg K2O and 79 kg N plus 271 kg K2O/ha. Herbage K contents were higher in the N plus K fertilised plots and in year 2 herbage Mg contents were significantly reduced by the cumulative effects of the N plus K fertiliser. There was a single case of clinical hypomagnesaemic tetany for a ewe grazing an N plus K plot in year 1. It may have been initiated by taking a blood sample for analysis on that day. Plasma calcium was not determined. Table 5. 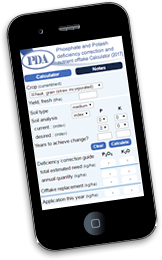 Fertiliser applications (kg/ha), mean herbage Mg, K and Na concentrations (% dry matter) and mean plasma Mg concentrations (mg/100 ml). (Black and Richards, 1965). 5. Clinical tetany. Some precipitating factors. An adult cow contains about 250 g Mg; 150 g in the skeleton and 100 g in the soft tissues. Only about 3 g Mg is present in blood and milk production requires 3.7 g Mg for 30 litres. The overall position is balanced on a knife edge. Bone magnesium cannot be rapidly mobilised to replace any fall in blood Mg. No significant correlation has been established between either age of cow or milk yield and the incidence of clinical tetany. Quite small reductions in available dietary intake Mg even on a day-to-day basis could initiate clinical tetany. An additional contributory factor is environmental temperature, In the Netherlands, Dijkshoon and t’Hart (1957) found higher Mg contents in herbage grown at 20-25°C than at 10°C. Clinical tetany incidence increases suddenly on cold, wet windy days. Apart from other considerations, cows may spend more time sheltering and less time grazing. This applies equally in both an early spring and in a late autumn. The incidence of clinical tetany in cows at spring grazing is not related to earlier plasma Mg concentrations when given housed winter diets before transfer to grazing. Neither are individual cow reductions related to the earlier situation. Prior magnesium supplementation cannot be stored by the cow to give some initial protection. Cases of clinical tetany are more commonly discovered when cows are gathered from the field just prior to morning and evening milking. It is possible that dietary magnesium supplements given at milking times may not fully cover the interval until the next feed. When hypomagnesaemic lactating ewes (0.25-0.43 mg Mg/100 ml) were given daily prophylactic oral amounts of either magnesium oxide or a soluble magnesium source, plasma Mg concentrations were only increased (to about 1.5 mg/100 ml) for a few hours and any incremental gains were not sustained for more than about eight hours (Ritchie and Hemingway, 1963). It is not practical to take blood samples from a dairy herd just before the afternoon and early morning milkings. The times of day at which clinical cases are frequently found for milking cows suggests that this may be a possibility. The onset of clinical tetany has been associated with a range of factors which may reduce normal herbage intake patterns. Oestrus activity, lameness, transfer to a new grazing area, excitement during herding cows prior to milking, entry to the milking parlour or cattle crush, dogs etc. ‘Transit fever’ is an alternative name to ‘staggers’. Above all, any reduction in daily magnesium intake should be avoided. Pasture Mg supplementation to above 2.0% Mg or preferably above 2.5% Mg in DM by use of magnesium-containing fertilisers, dusts or sprays, ensures regular consumption by the whole herd. Magnesium alloy rumen boluses (Hemingway and Ritchie, 1968) given to each cow at critical times provide continuous cover for four weeks. This is the only supplementary Mg product to have a Veterinary Licence against clinical tetany. Provision of free-access supplements as either mineral mixtures, feedblocks, molassed liquid licks or in drinking water all present problems of consistently uniform intake by all animals. Total daily supplement intake by the herd can give a very misleading impression and a period of prior training is desirable. Established general precautions are well publicised and include minimising the spreading of slurry or potassium fertilisers prior to spring grazing. It is also advised that the major slurry dressings or potash required to replace removals in silage or hay be applied for those crops rather than on grazing land, where repeated light dressings of K are recommended, as necessary. Some buffer feeding of silage on transfer of cows to grazing in the spring may limit any sudden reduction in Mg intake and lessen the possibility of sudden changes in rumen function. Bartlett , S. et al. (1954). British Veterinary Journal 110, 3-19. Bartlett , S. et al. (1957). Journal of Agricultural Science, Cambridge 49, 291-300. Black, W.J.M. and Richards, I.W.A. (1965). Journal of the British Grassland Society 20, 110-117. Butler , E.J. et al. (19630. Veterinary Record 60, 329-340. Chiy, P.C. and Phillips, C.J.C. (1993). Grass and Forage Science 48, 203-212. Coombe, N.B. and Hood, A.E.M. (1980). Fertiliser Research 11, 57-176. Crichton, C. (1968). Journal of the British Grassland Society 23, 186-193. Hemingway, R.G. and Ritchie, N.S. (1964). Proceedings of the Nutrition Society 24, 54-63. Hemingway, R.G. and Ritchie, N.S. (1968). Veterinary Record 82, 87-89. Hvidsten, H. et al. (1968). Acta Agric Skand. 9, 261-291. Kemp, A. (1960). Netherlands Journal of Agricultural Science 8, 281-304. Kemp, A, and t’Hart, M.L. (1957). Netherlands Journal of Agricultural Science 5, 4-17. Netherlands MAFF. (1973). Tracing and treating mineral disorders in dairy cattle. Wageningen. Paterson , R. and Crichton, C. (1960) Journal of the British Grassland Society 15, 100-105. Ritchie , N.S. and Hemingway, R.G. (1963). Journal of Agricultural Science, Cambridge 60, 305-306. Smythe, P.J. et al. (1958). Veterinary Record 70, 546-549. Storry, J.E. (1961). Research in Veterinary Science, 2, 272-274.
t’Hart, M.L. and Kemp, A. (1956). Tijdschrift voor Diergeneskunde 81, 84-95. The information contained in this paper is given in good faith. Neither the author nor the PDA accept any responsibility or liability for any loss or damage arising out of its use.